Fourth-year midfielder Jordan Cunico is focused on becoming a more consistent footballer in 2018. The light midfielder has continued to develop from his debut game in 2017 which was followed up by continuing knee issues, to secure 14 games in 2018. 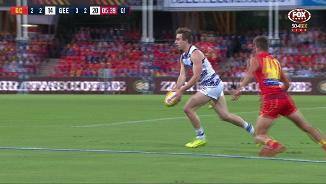 After overcoming numerous injuries Cunico has managed to produce some decent games, setting his personal best for disposals against the Suns with 24, then topped it a week later in round 12 of 2018 with 26 against the Kangaroos. The 22-year-old has worked on consistency throughout 2018, which has proven to be effective as his form is evident all over the field in both his AFL and VFL matches. 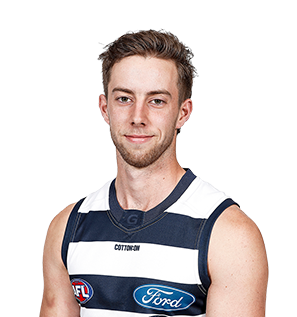 2014 NAB AFL Draft 4th round selection (Geelong) No. 59 overall.